Programmers are always very high in demand as they are the ones who create codes for any applications or software products. Having knowledge on various programming languages is always an advantage even if you are not planning to become a master coder. A good understanding of coding often helps to communicate better with the engineers in your team, understand the client’s requirements and also prevent any misunderstandings. Not only this, a good grasp over coding helps you to consider programming as your future career. Java is one of the most important programming languages and it has proved this in the past 20 years. Two decades is really a big time for any software language and with every day passing by, Java has gained strength and has become the favorite language of most programmers. 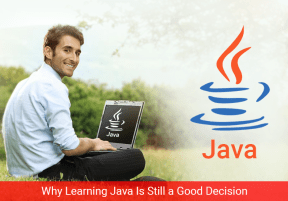 Even in terms of job opportunities, Java has always outscored other languages and with tons of job opportunities, learning Java is definitely beneficial for students. So, if you don’t have a background of C or C++ and you are willing to learn your first programming language, then I will always suggest choosing Java. Easy to learn: Many students often are surprised to see that Java is easy to learn. But it is really so and if you have a steep learning curve, then initially it might be difficult to become productive in a short period of time. But Java has fluent English syntax, which makes it very easy to read and learn. Rich API: Another reason of learning Java programming is its rich APIs. The Applets provide great animation capabilities and this amazes the new programmers who code in Turbo C++ editor. It provides API for networking, I/O, utilities, database connection, XML parsing and almost everything. Object oriented programming language: Another big reason that you should learn Java is that it is an object oriented programming language and developing OOPS application is easier and it helps to keep the system flexible, modular and extensible. Once you have knowledge on OOPS, you can use abstraction, polymorphism, encapsulation and inheritance easily. Powerful tools: Eclipse, Netbeans play a huge role in making Java one of the best programming languages. They help in code completion and also provide powerful debugging capabilities and this is essential for real world development. The integrated development environment has made Java development fluent, faster and even easier. Android applications: If you are curious to know where Java is used, then let me tell you that you need not go very far. Simply open your Android phone and click on any app, they are actually written in Java with Google’s Android API. Today, many programmers who are experts in Java are now Android App developers. Though now-a-days Android uses different JVM and packaging, but the codes are still written in Java. J2ME apps: Though with the advent of Android and iOS, the J2ME market has to an extent gone down, but still there is a large market for Nokia and Samsung handsets that uses J2ME. Earlier all game applications were written using MIDP and CLDC, part of the J2ME platform. Big data technologies: Hadoop and other big data technologies use Java in one way or the other. Though there are other technologies in the market like MongoDB written in C++, Java still holds a major share in this market. Web applications: Java is also a very popular platform on E commerce and web application space. Servlet, JSP and Struts based web apps are popular on various government projects. Many government, insurance, healthcare, education, research and development and several other departments have their web applications that are built on Java. Thus to conclude, I can suggest that joining a Java training course is definitely a good decision as it has great options and job opportunities for those who are willing to build their career in the software development field.